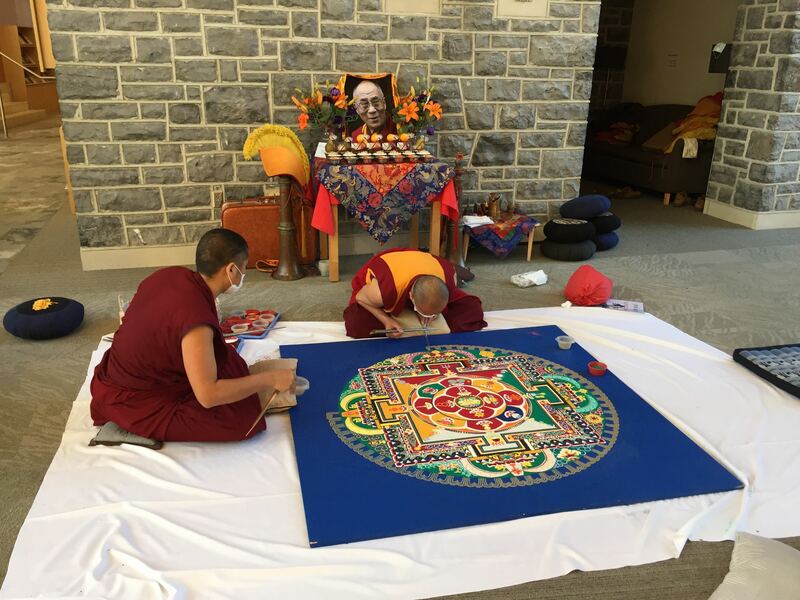 For Dickinson website coverage of the deconsecration ceremony held on the final day of the Drepung Gomang Monastery monks’ visit to the College, click here. 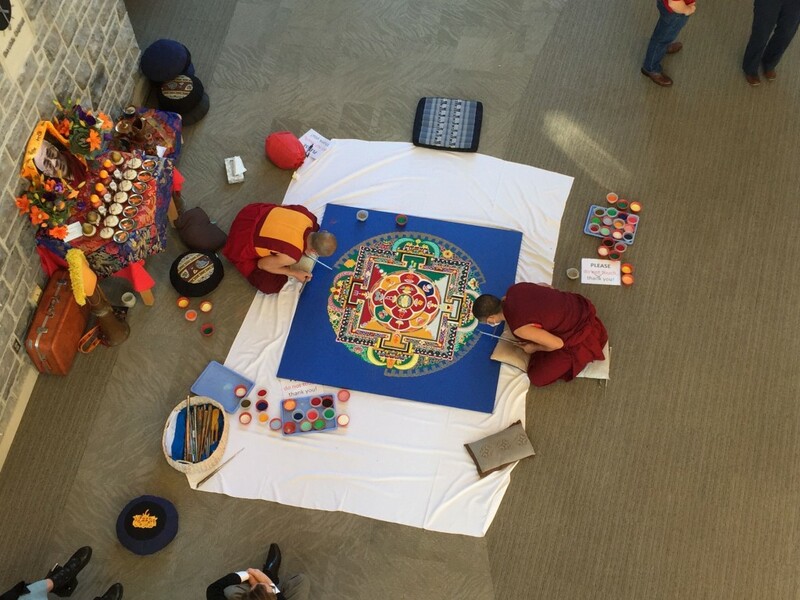 From Wednesday, November 18th through Saturday, November 21st, the monks of Drepung Gomand Monastery made a sand mandala in the lobby of the Waidner-Spahr Library. Check out the photos and video below to see how the process unfolded. 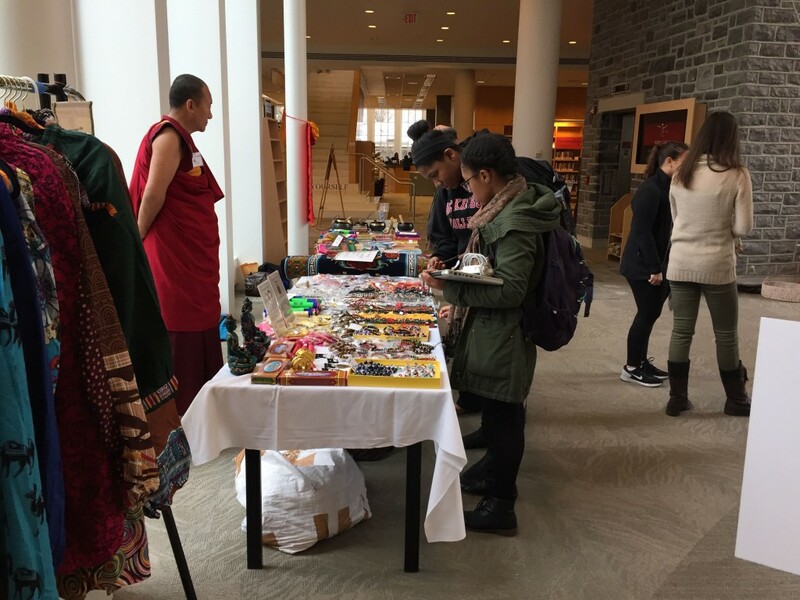 Merchandise from India and Tibet. Mandala beginning to take shape. 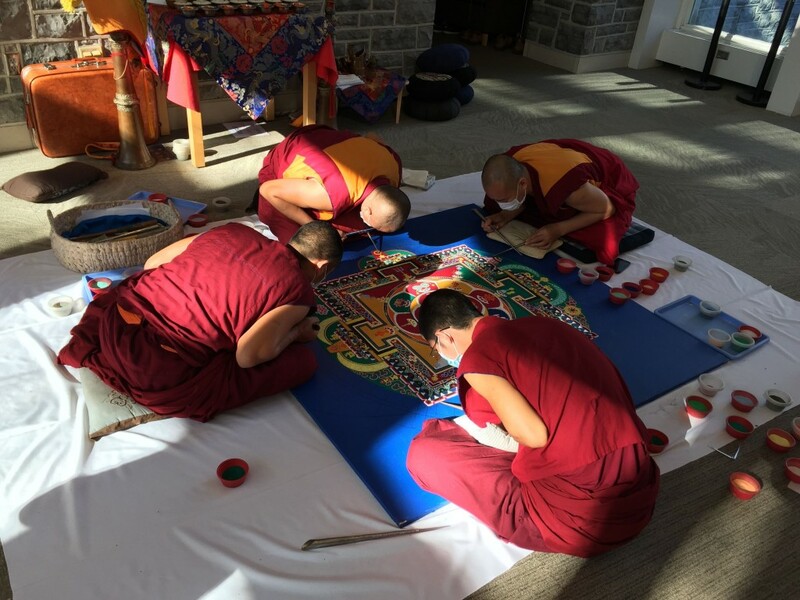 This week Dickinson College welcomed the monks of Drepung Gomang Monastery in India. Professor Dan Cozort (Religious Studies) took the lead in organizing the visit, which is supported by the LIASE, Clarke Forum for Contemporary Issues, Center for Sustainability Education Grant, Departments of East Asian Studies and Religion, Center for Service, Spirituality, and Social Justice, Waidner-Spahr Library, and Division of Student Life. According to Prof. Cozort, this is the third time that the monks have visited Dickinson, with the last time being 20 years ago. 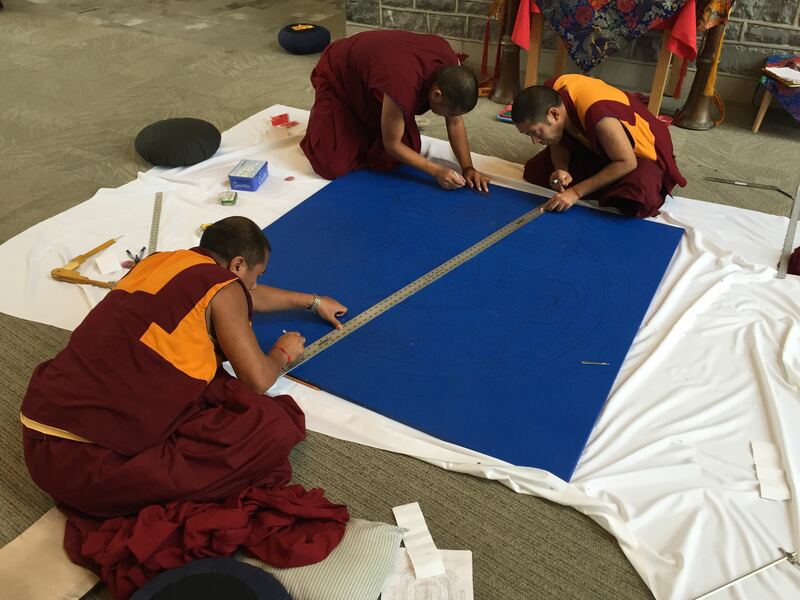 From Wednesday to Saturday morning, the monks will construct a sand mandala dedicated to the Buddhist diety Tārā in the Waidner-Spahr Library. On Tuesday evening, Prof. Cozort gave a brief introduction to the ritual and meaning of the Green Tārā. 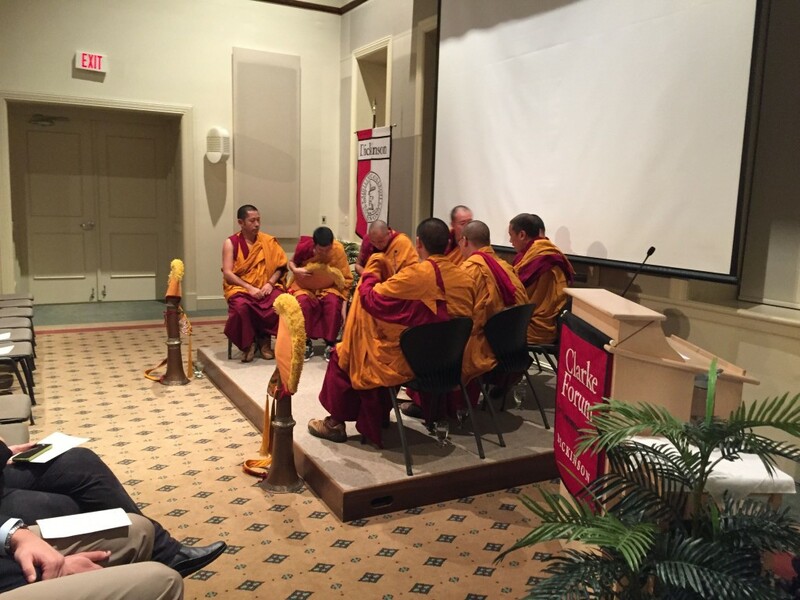 The lecture was followed by a puja, ritual chanting for the diety, performed by the eight monks. 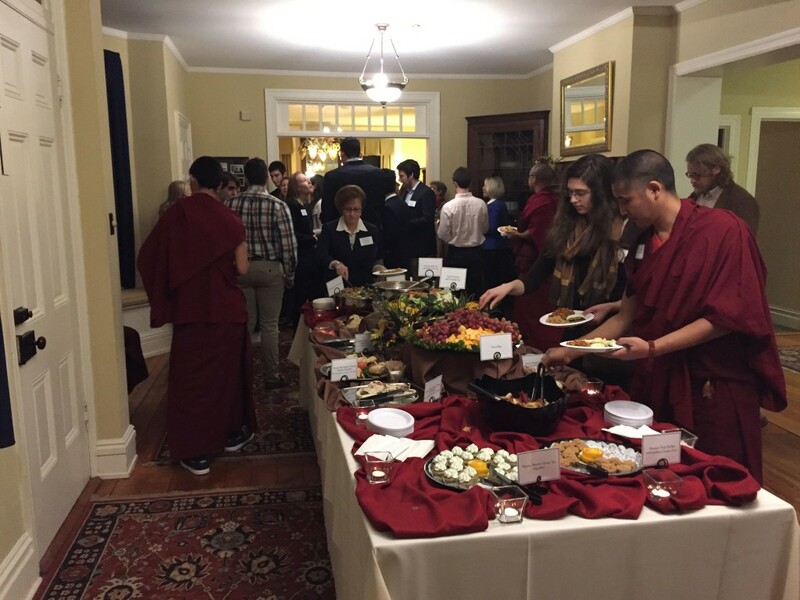 Prior to the lecture and chanting ritual, the Clarke Forum for Contemporary Issues held a reception with faculty, staff, and students to welcome the monks. 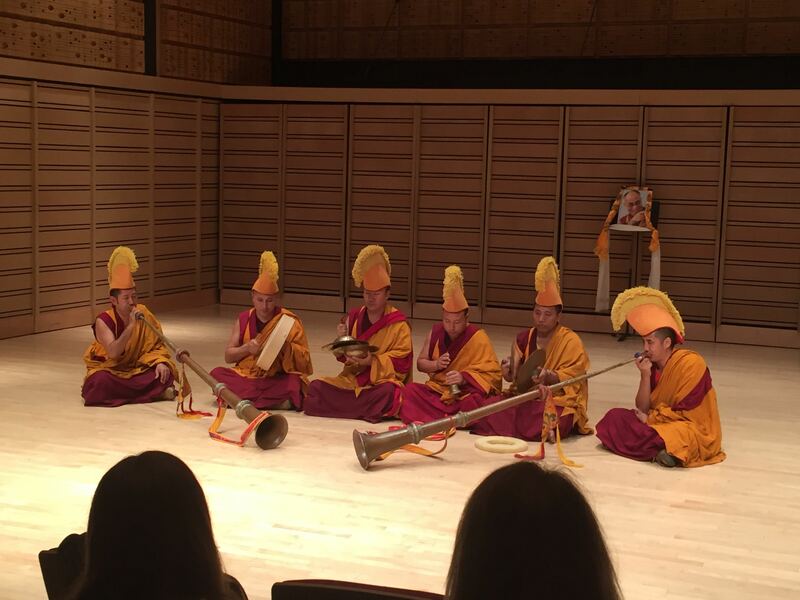 On Wednesday evening, the monks also put on a performance of Tibetan culture in the Rubendall Recital Hall that included a lion dance. 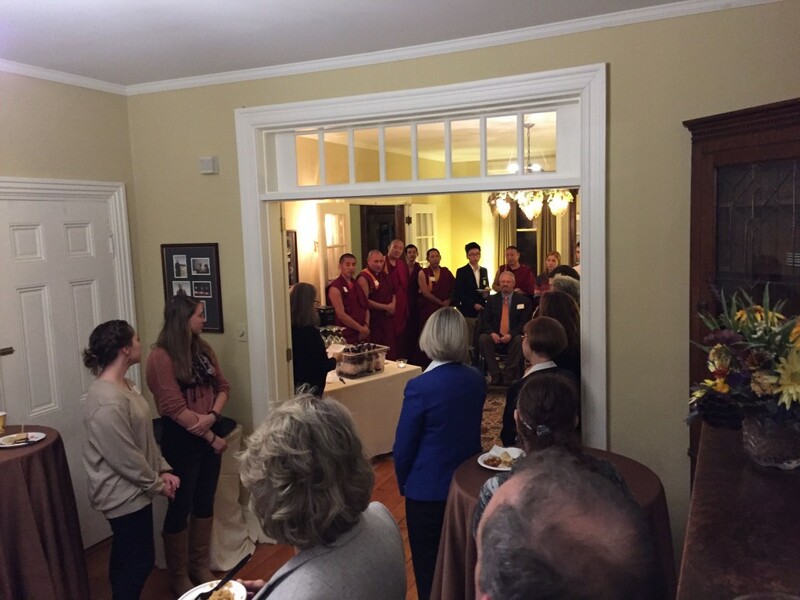 Director of the Clark Forum and Prof. of American Studies Amy Farrell welcomes the monks to a reception with students, staff, and faculty. 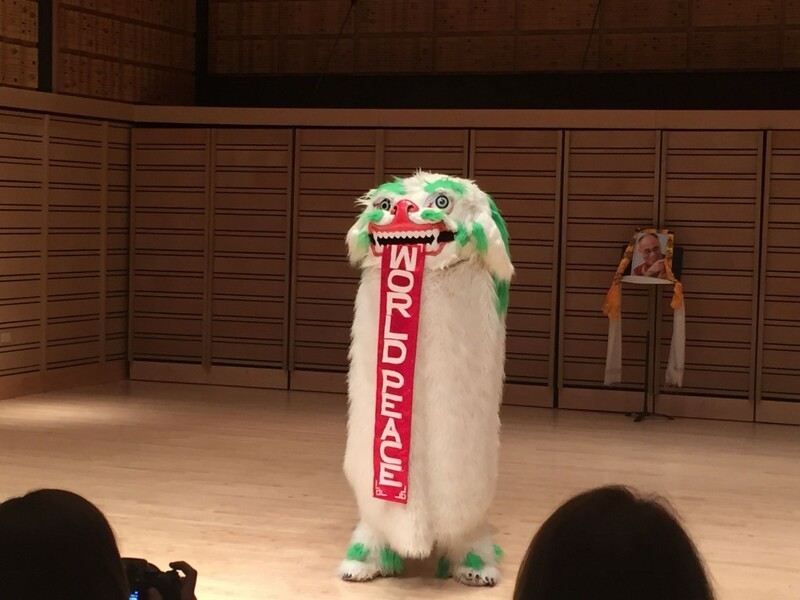 A lion with a message. The Vase Project: Made in China—Landscape in Blue, a new exhibit initiated and overseen by Professor Barbara Diduk, Charles A. Dana Professor of Art at Dickinson College, and the Chinese ceramicist Joey Zhao, opened at the Dickinson College Trout Gallery on October 30, 2015. The exhibition presents 101 identically shaped and similarly painted porcelain vessels that feature scenes of modern industrial landscapes in China. 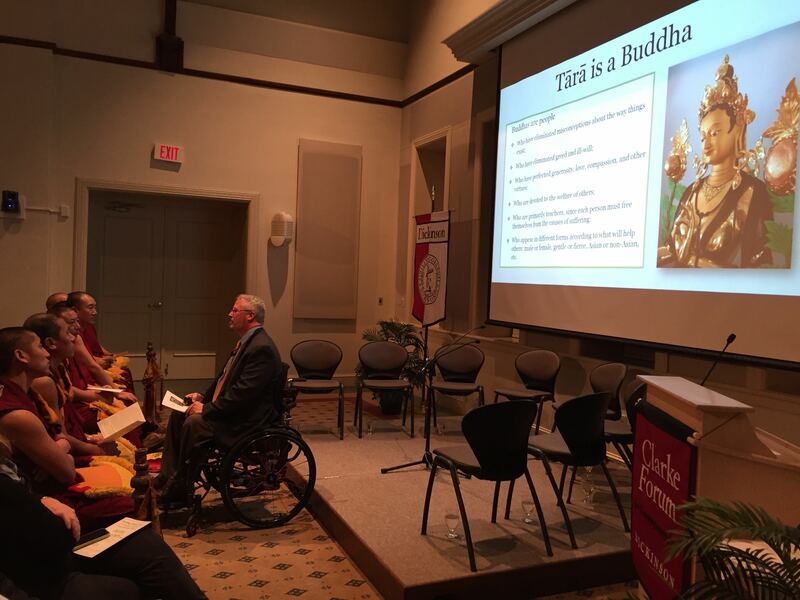 The project was sponsored by the Luce Initiative on Asian Studies and the Environment.